There has been for a long time a problem for identity in the Democratic Party since the days that George McGovern, the liberalism that he promote was found repulsive but a lot of people in Middle America. Jimmy Carter southern populism was consider weak on foreign policy. Bill Clinton won on a neoliberal platform of corporativism and hawkish foreign policy. The Bush years made some liberals consider an alliance with libertarians against neoconservative republicans in that years the name of Brian Schweitzer sound strongly as an antiwar, anti-tax, pro-gun rights ans pro-privacy kind of candidate but when the 2008 primaries come both Mike Gravel and Bill Richardson who were somehow close to that ideal do very badly in the elections. Civil libertarians like Russ Feingold and Mark Udall had lost their seats and the Democratic Party has embraced identity politics as their main credo. The party hasn’t completely rejected neoliberalism or liberal interventionism but their main issues are cultural not economical. Jim Webb has supposed to change that. Having been a Vietnam War veteran and Secretary of the Navy under Reagan. He became the antiwar hero of 2006 becoming a Democratic senator from Virginia. He’s by no standard a pacifist, even some neocon publications respect his positions on foreign policy. But he is still the most thoughtful democrat when it comes to international relations. He wants American foreign policy to focus more on China than the Middle East but at the same time he understands the that the current conflicts are product of the implicit alliance between neoconservatives and liberal interventionists. On economics he is a populist who wants more government intervention but I don’t think to the level of the dreams of Bernie Sanders. On gun rights he is closer to the position of Bernie Sanders that is shared both by people in rural areas and military families. He has issues with affirmative action and while is not for open borders with the time has been more supportive of immigration reform. He’s not a environmentalist and supports coal. The reactions to his performance at the debate had been mixed from some praising to some criticism. I don’t think really that debates were the reason why is doing so badly. He is after all is one of the few democrats which focus on the possibility for the party to regain white voters from rural areas that had been abandoned by the party for their insensitivity toward cultural issues while the majority of the party is focusing on identity politics for only relying on minorities. Jim Antle argue that if Jim Webb left the Democratic Party for McGovern then he leave the Republican Party for Bush, now he is man without party. I disagree, I think that actually one of recent figures of the Democratic Party, a young congresswoman that in a lot of positions is closer to Webb than any of the old rural democrats. Tulsi Gabbard is a rising star congresswoman representing Hawaii, she is of Samoan descent and is the only Hindu American in Congress. One would think than in the party of identity politics she would be a progressive queen but like Webb she is a former veteran who on foreign policy sounds very independent even questioned the Iran Deal. Webb was saying that debates were rigged while Gabbard was calling for more debates. Webb had been praised from National Review, Gabbard too. A devout Hare Krishna and a surfer, the socially conservative positions of his relatives get her in problems in democratic primaries. 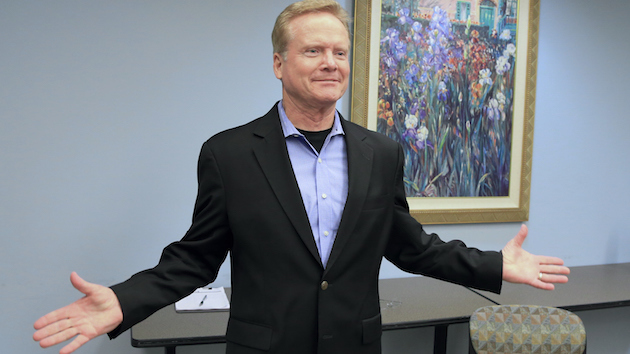 Jim Webb wants to run as an independent but maybe he could work with democrats while a fresh face like Tulsi Gabbard would advance the cause of realism and independence inside the Democratic Party. I’m a non-interventionist but I think the realist challenge in foreign policy of people like Jim Webb on hawks like Hillary Clinton still could help define the future of the Democratic Party. Webb is a warrior which is still could have a last fight against a totalitarian leader.